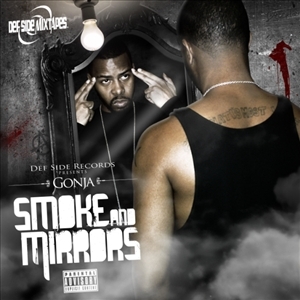 Gonja is an independent American hip-hop artist, producer,and songwriter (via ASCAP). He’s C.E.O & co founder ofhis own start-up record label Def Side Records™ which managesartists from Cincinnati OH, Indianapolis IN, and Atlanta GA.Gonja has collaborated, produced, and performed the openingacts for several local & industry artists ranging fromJ-Kwon (So So Def Entertainment) to Shawty Lo (D4L Records).Gonja’s energy and stage presence is being felt by anincreasing fan base across the midwest as well as the south.Gonja is best known for his aggressive voice & deliveryon the mic, as well as his ability to tell true-to-life storiesover his 808 flooded, street anthem style beats. The midwestrapper/producer’s beats have also found their way tolocal artists & Dj’s recording studios from Cincinnati OH toAustin TX, Chicago IL, Atlanta GA, Indianapolis IN, andWolverhampton England. His music & videos are being featuredon local cable access channels, internet radio stations,and blog sites from the US to the UK.Gonja released his first official solo mixtape albumtitled "Hitman for Hire (Volume 1)" March 9, 2012 whichhe independently promoted and distributed physically anddigitally. To date the self-produced “#HitmanMixtape” hasbeen streamed & downloaded by thousands of fans, Dj’s,promoters, and bloggers worldwide.